View our Rare-Earth Himalayan Shilajit quick facts PDF. 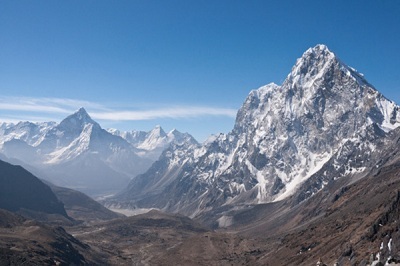 True Shilajit comes from specific sources within the Himalaya and at elevations between 3280' and 16404' (1000 and 5000 meters), and is harvested only when specific weathers conditions promote the extraction of it. True Shilajit is formed through geographic forces, a process that takes centuries, and the gradual decomposition of certain plants by the action of microorganisms—making Shilajit the only true primal, paleo food or supplement available. Each pouch contains 65 grams of Shilajit Extract Powder. "It is composed of rock humus, rock minerals and organic substances that have been compressed by layers of rock mixed with marine organisms and microbial metabolites. (Ghosal, 1994)"
In each 65 gram pouch, there are approximately 32.5 servings of Mountain Manna Rare-Earth Himalayan Shilajit. The flavor profile of Shilajit is strong and bitter and some will find the flavor off-putting. At RAW Forest Foods, we prefer to mix our Shilajit with Dandy Blend (a commonly available coffee alternative) and something slightly sweet. It is a taste that you will grow to appreciate--like most bitter flavors. I discovered the existence of this product through a video from Dr. Axe about Anti-Aging. I immediately saw it was worth trying. Of course, there are so much choices. But if you such only for gold, you will find it. And I've found it! My husband and I noticed from day 1 a shot of energy! Now as I work in a health shop in the Netherlands, I advise it to a lot of people who are ready to make the step for health recovery in one of the most natural way there is. So again thank you for being able to sell this great product! As the taste is very strong, I mix it with coconut milk of others and it's nearly enjoyable! This is an amazing stuff!! I started taking this a month ago.it is amazing...energy,libido and much more!! I will be ordering monthly from now on. All of them do what is said they'll do but this one is my favorite. I get a natural product that delivers energy, stabilizes mood, and boosts cognitive functioning all in one. I'll keep purchasing the others now and then but this is goin to be my go-to permanently. It's that good! Like others here I have also bought shilajit from different companies (including from some of the overpriced "gurus") and RAW Forest Foods is the real stuff. Thank you for a good product at a good price. I've had probably every Shilajit available, and this one is by far my favorite. Pure and powerful. Using Shilajit on a daily basis has transformed my health like nothing else has. A deeply regenerative product--the missing link for sure in our diets.